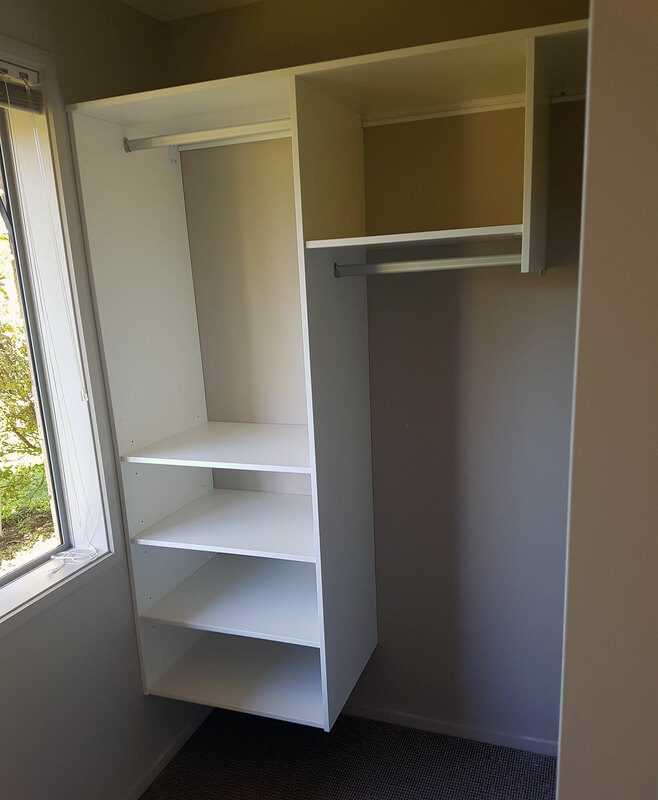 Centrally located in Tauranga, we pride ourselves on our commitment to quality, our storage systems are manufactured and installed by qualified cabinet makers. Why choose superior shelving systems? We are specialists in the design, manufacture and installation of wardrobe and cupboard storage systems. We have a range of products and designs for all budgets. All our product is locally manufactured from superior quality materials. We use product that looks great and is durable. Our standard board is high quality white embossed melamine, with heavy duty PVC edging, making our product robust and hard wearing. We have a wide range of wood grain and coloured board available to match your decor. All our fittings and accessories are of the highest quality to ensure the system is functional and durable. We recognise the importance of space planning. either the custom designed Superior “DELUXE” Storage System or using our new easy to assemble and cost effective Superior “EASY-FIT” Storage System. We take pride in ensuring that our product is of the highest quality, from design, to manufacture and installation. We stand by our products.